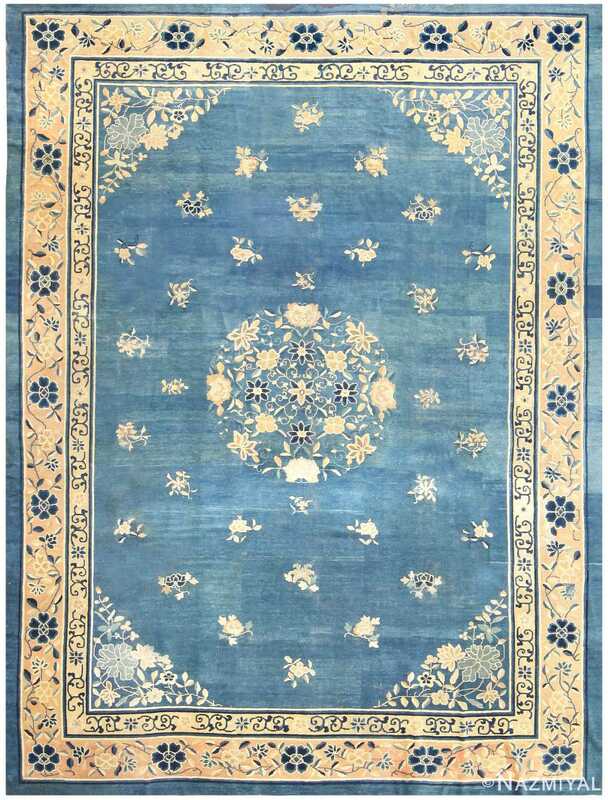 Rare Antique Dark Green Chinese Rug, China, Early 20th Century — This Rare Antique Dark Green Chinese Rug is a commanding example of artisan ingenuity in design and color choice. The external border contains iterative dragon imagery which seems to guard the delicacy of the rugs inner section. 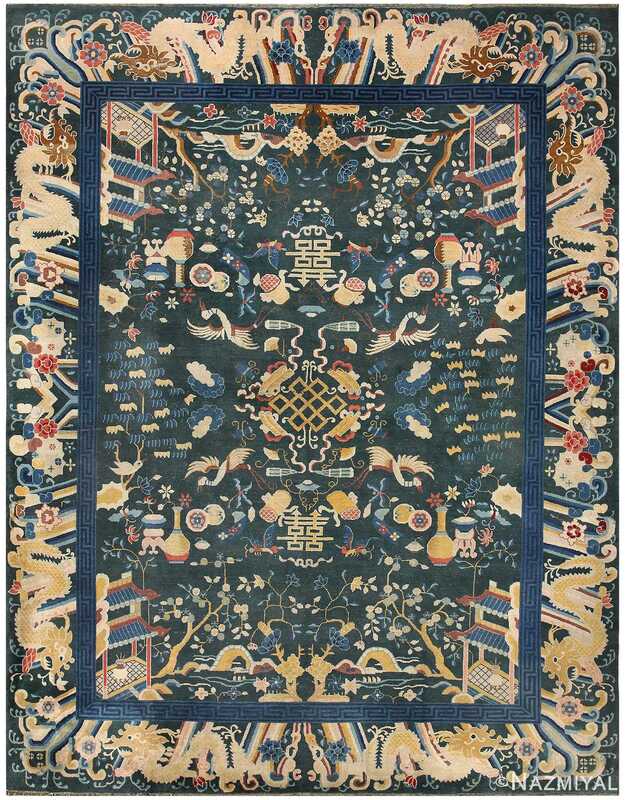 This part of the rug is replete with traditional Chinese landscape depictions situated well with birds, pottery and floral symbols. 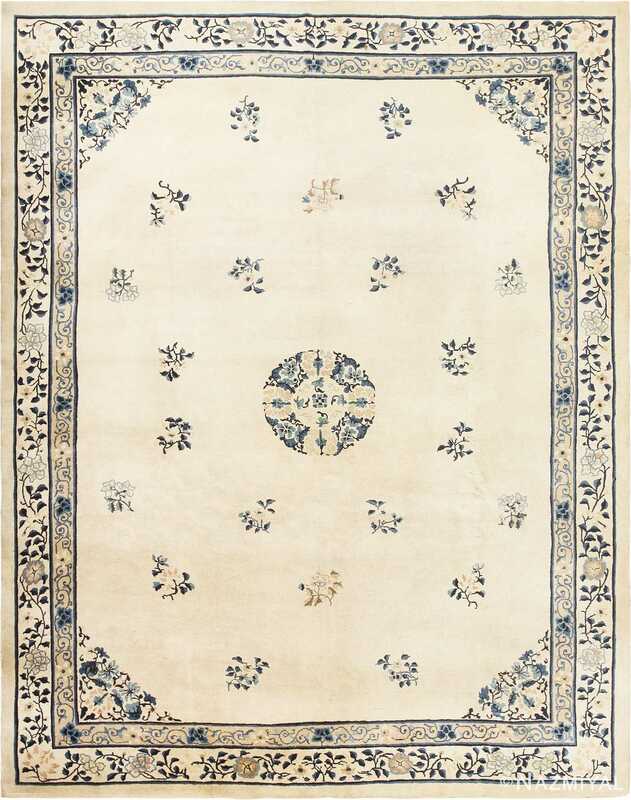 The bold, blue sub-border contains the rugs only use of hard corners in its styling, which has a separating effect for the other elements of the piece. 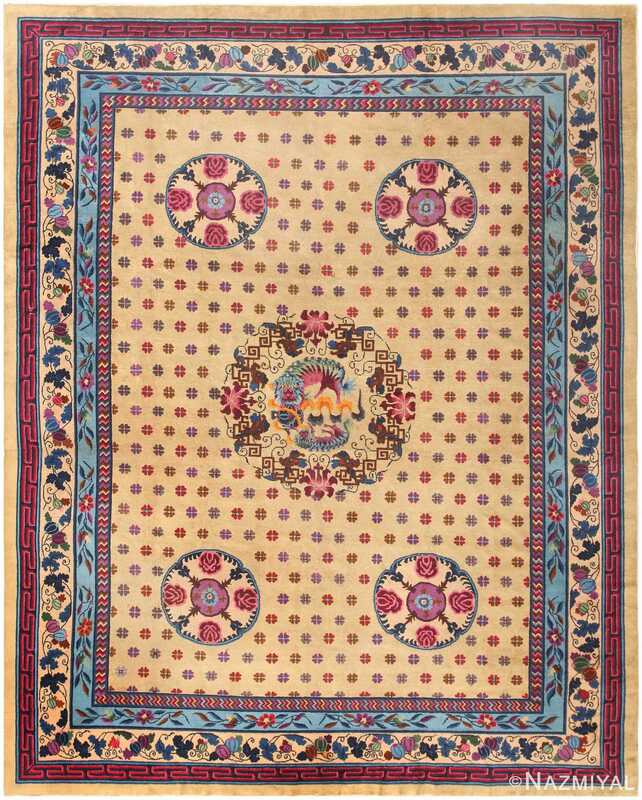 The center of the rug depicts a symmetrical, golden lattice found only once throughout this antique rug. Vivid art deco embellishments adorn this glamorous antique room-sized Chinese rug, which embodies the progression of China's traditional yet cosmopolitan designs.